"This is a very beautiful and rare bass indeed. It's in pristine condition for being almost 50 years old. I have owned this bass since 1973. It was in storage at my home for over 30 years and has not been played much at all since I've owned it. So there's no live gig wear and tear on my part. The body is in perfect condition with only a few light scratches here and there. There are no cracks or dents that I can see." "The serial number which can be seen thru the body reads D455A. They made less than 3000 of these instruments before ending production in the early 70's. There are a few unusual characteristics of the instrument. The thumb rest had been removed as most players did in the day and as was often the case, when I bought the bass, it was missing. 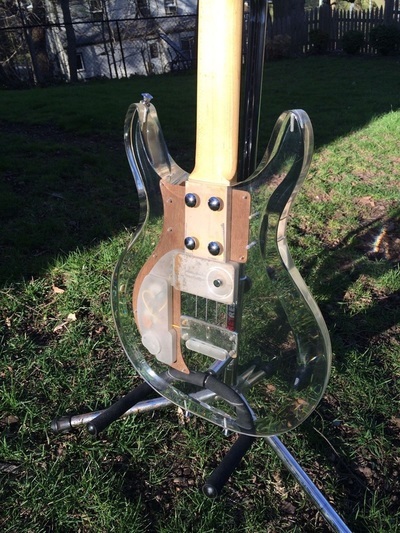 I've done a lot of research on the instrument, and with the low serial number and the fact that the massive double stacked pickup is secured to the body by a thumb screw on the back, and the fact that there is no bogus toggle switch, this falls right between the early modifications to improve the bass and before the suits at Ampeg forced Dan Armstrong to add a toggle switch which he didn't want to do. The pick guard is also the more updated version that came after the first models were made and has the more preferred, less glossy sheen look. There is some pick scratching on the pick guard from being played by the previous owner. I play with my fingers, so the markings are from the late 60's. All there is, are some very light cracks around the guitar jack hole. Whereas almost all of these basses had to have a large replacement washer around the jack after being damaged from accidentally stepping on the cord jack, my bass has the original washer and look. I suggest using a right angle input jack to avoid any possible damage. The only thing that's not original are the knobs. The bass came with what looks like acrylic Les Paul knobs. Good luck trying to find the originals. I've tried." "Ok now for the fun part. This bass has the loudest bass pickup I've ever heard in my life. 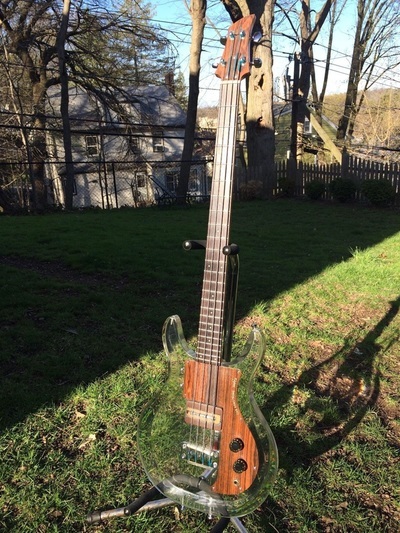 No wonder the greats like Geezer Butler of Sabbath and Bill Wyman, Paul McCartney, and Sting all played this bass. The neck is super straight, with 24 frets and is fast as hell. 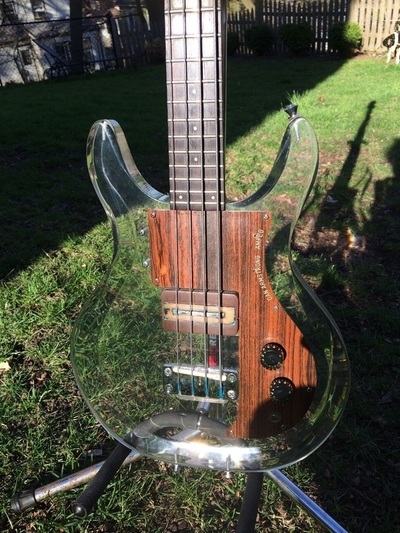 All of the parts that Dan Armstrong used for this bass are top of the line nickel components and as with the early models, mine has the highest quality Schaller tuners. This bass also has the original case, which is in excellent condition and highly coveted." 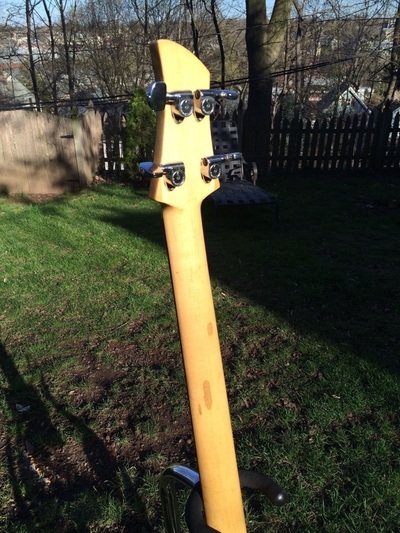 "Please note that the bass is currently set up for a left handed player and has a custom left handed saddle. It can easily be switched back to right handed and comes with the original right handed rosewood bridge saddle, which will be included in the sale. It easily slides into the tail piece. 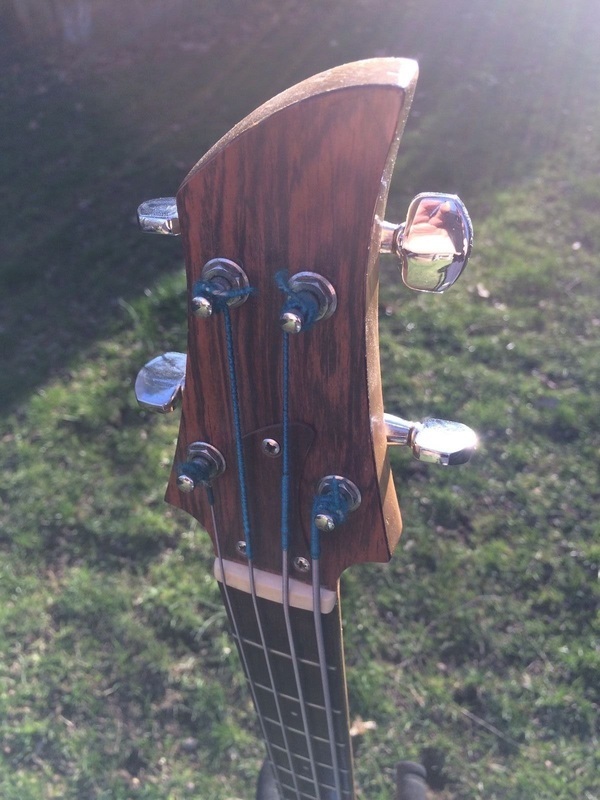 The nut is original and can easily be altered by a guitar smith by filing it to fit the proper bass string configuration." 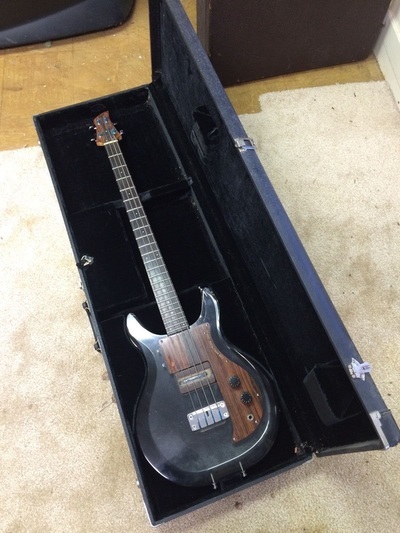 "This instrument will come carefully wrapped and shipped fully insured. There will be no returns allowed for this sale, but will follow ebay's guarantee and policies to ensure the item is received as advertised."